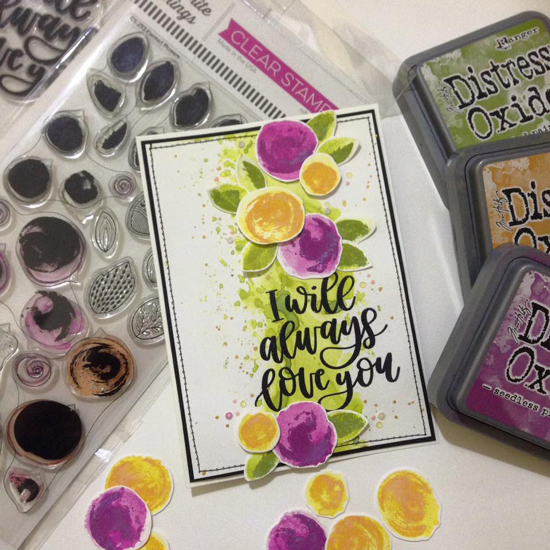 Lisabeth created a gorgeous background for her images that depict movement and texture. 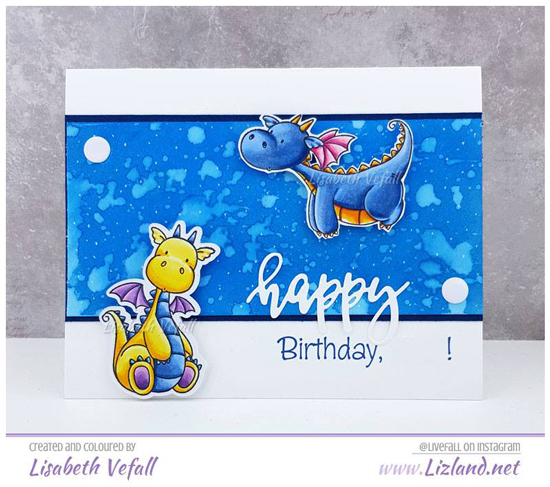 We love the complimentary colors she used on her Magical Dragons and the open space she added to her sentiment so she can personalize the card with a name. Emanuela's vertical border of stamped flowers is a beautiful design element that draws the eye in and really lets the stunning color palette of her florals take center stage on her card. The addition of the bold, script sentiment complements her overall design and provides a graceful elegance to her stamping. While we don't usually envision sweet Easter bunnies surrounded by falling snow, there are definitely parts of the world still experiencing colder temperatures and beautiful winter wonderlands. 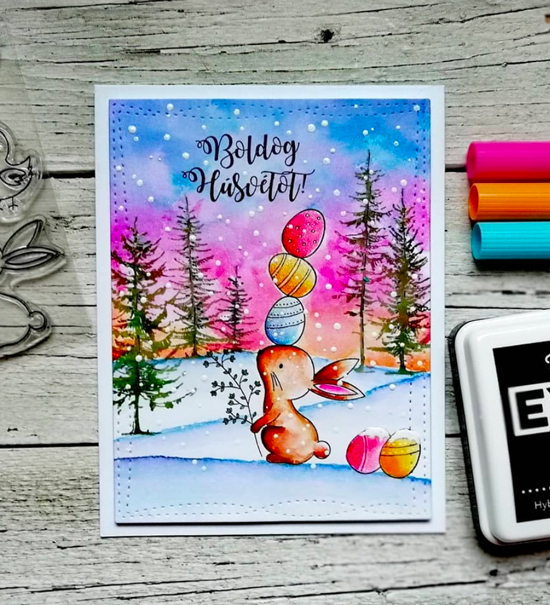 Hellopilda combined both on her gorgeous winter landscape with vibrant colors and snow covered Easter eggs. 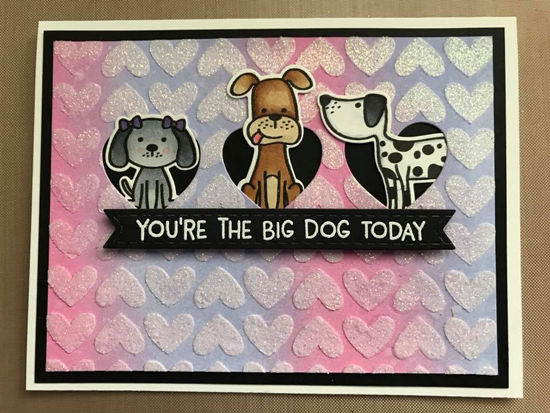 A textured panel created with embossing paste, and a stencil adds beautiful dimension to a card while letting the images remain in the forefront of the design. 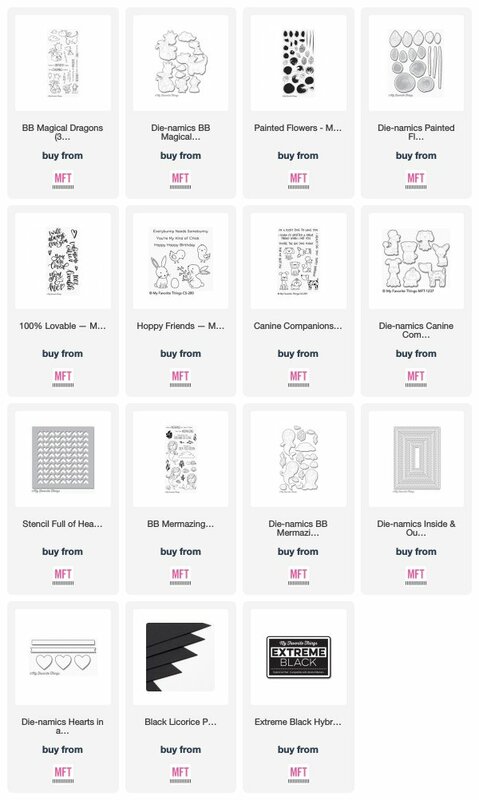 Tiffany's multi-colored background and heart detail coordinate nicely with her heart window openings and sweet puppy images. We are in love with Heidi's fabulous water scene - the stunning shade of blue and the added sparkle and sequins brings her ocean to life and is the perfect backdrop for her mermaid image. 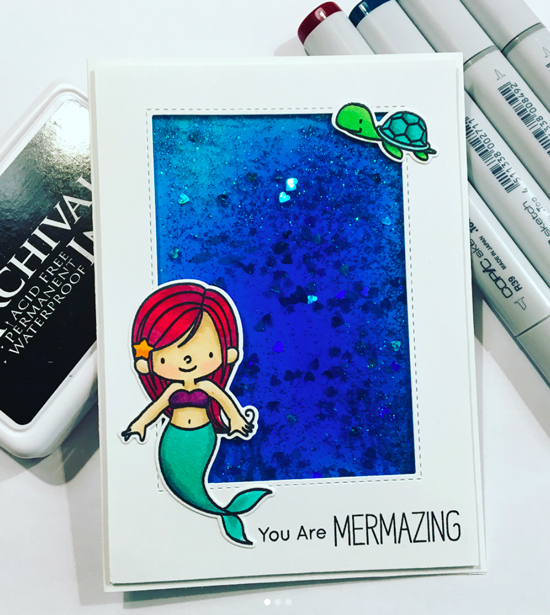 We think this card design is mermazing!